The ABB medium voltage pad mounted solution is a cost efficient and robust solution designed for large-scale solar power generation and to be compatible with the PVS980 outdoor inverters. The ABB medium voltage pad mounted solution is a cost efficient and robust solution designed for large-scale solar power generation and to be compatible with the PVS980 outdoor inverters. 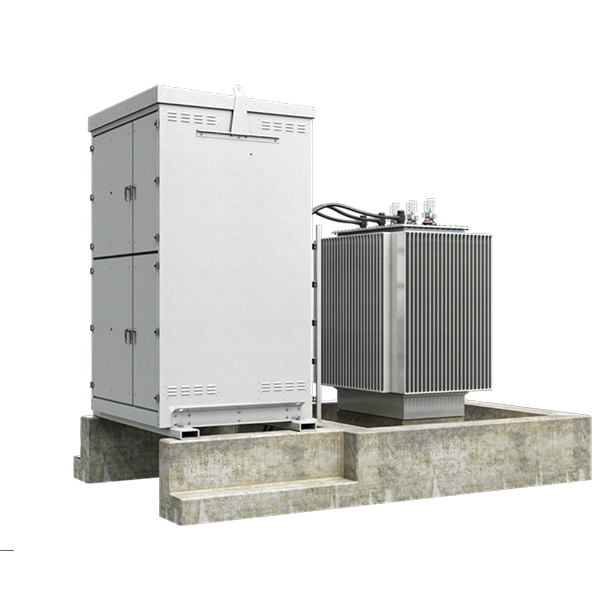 It combines the medium voltage transformer and the switchgear equipment needed to connect the inverters to the medium voltage network of the photovoltaic plant. All the components within the medium voltage pad come from ABB’s product portfolio to meet the performance and quality standards required by solar applications.